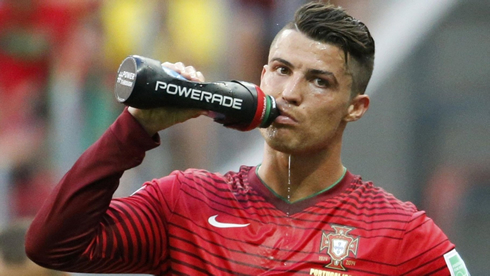 ﻿ Should Ronaldo have played as a striker in the World Cup? 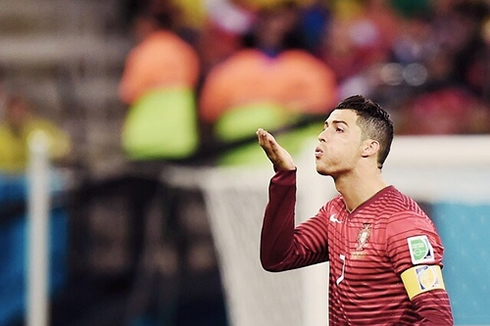 01.07.2014 » Should Ronaldo have played as a striker in the World Cup? Roughly one week past Portugal's World Cup elimination, it's still hard to understand why Cristiano Ronaldo and his teammates failed to go through in a group with Germany, Ghana and the USA. Could it have been any different if Paulo Bento had played Ronaldo as a striker, especially given the lack of solutions inside the team for that particular position? The expectations coming into this summer's FIFA World Cup were quite high for the Portuguese Team and making out of a group formed with Germany, USA and Ghana was seen almost an obligation. However, everything seems to have gone the wrong direction right from the start and that 4-0 loss against the "Mannschaft" in the opening round of Group G, basically never allowed the team to build the confidence that was necessary to approach a very demanding competition such as the World Cup. 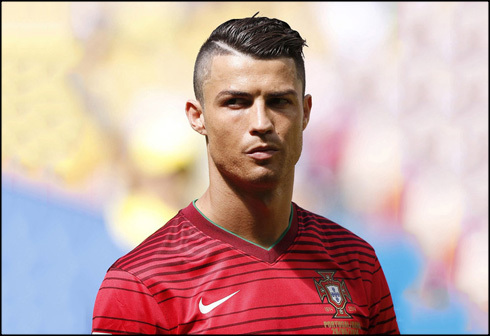 One of the biggest struggles that Portugal had to deal with during this tournament was the big wave of injuries that hit a large part of the squad, but even in circumstances where he had almost no centre forwards available, the Portuguese coach Paulo Bento, preferred not to move Cristiano Ronaldo into the striker position, since he claimed that the team would have never benefited that much from such a change. No one could have predicted that so many Portuguese players would get injured before and during the World Cup. It was almost as if someone had cursed the team and there wasn't much that could be done about it. With the most prominent case being beyond any doubts the knee injury that Cristiano Ronaldo carried over from the last half of the season where he played for Real Madrid, the truth is that as soon as the tournament started, many of his teammates started falling off like flies, mostly due to muscular injuries. A few days later, Portugal took on the USA in Manaus, and with Hugo Almeida already out of the available options, Paulo Bento picked Hélder Postiga for the centre forward position. However and similarly to what had already happened against Germany, the Portuguese striker only lasted 16 minutes on the pitch, since he had to come off the field after also picking up an injury early in the game. To his place, Paulo Bento sent in the 26-years old Éder, but the SC Braga striker failed to deliver yet again and Portugal couldn't go beyond a compromising 2-2 draw that ended up limitng most of their options for the final fixture of Group G.
Paulo Bento: "I don't think it's fair to blame any player for what happened. We made a series of mistakes that led us to the situation we find ourselves in today, but I'll refuse to point the finger to any player or staff member individually...", stated the Portuguese National Team coach when reviewing what could have gone wrong during the World Cup. With Portugal's two main strikers out of the picture for the last game against Ghana and with Éder not proving to be up to the task, many believed that there couldn't be a better time to finally try moving Cristiano Ronaldo into the striker position. Moreover, Portugal was in a desperate need of scoring goals in order to turn around the goal-deficit they had against USA in the tie-breaker scenario. 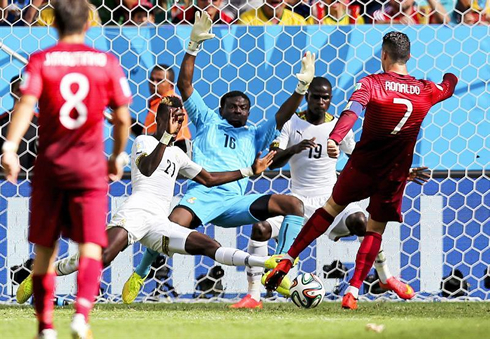 Despite all the circumstances just mentioned, Paulo Bento sticked with Éder for the striker role and Portugal struggled to pour in the goals they needed against Ghana, finishing the game and their World Cup campaign with a short 2-1 win. Paulo Bento: "I never had the intention of playing Cristiano Ronaldo in the striker position. I don't think that would have been good for him nor the team. We obviously talked about that possibility, but he never gave me the impression that he would feel very comfortable with such role", clarified the Portuguese manager, as he denied the rumors that came out in the past days suggesting that Ronaldo had refused to play as a striker during the World Cup. Cristiano Ronaldo's next game will be for Real Madrid, during the club's pre-season in July. In the meanwhile, you can watch France vs Germany, Argentina vs Belgium, Brazil vs Colombia, and Netherlands vs Costa Rica, all matches provided from our game pages.